Hamid Habib; Moufag Tayeb; Majdy Qutub; Jamil Samkari; Abdulrahman Abu Dawood. Habib S. A; Abo doubara M. I; Abdel-Malak Camelia. A; Badawy Rasha. M.
Expression of p-selectin (CD62p) on Platelets as activated marker in preeclampsia . Effects of sublethal doses of selected botanical molluscicides on oxygen consumption of the brown garden snail, Eobania vermiculata. 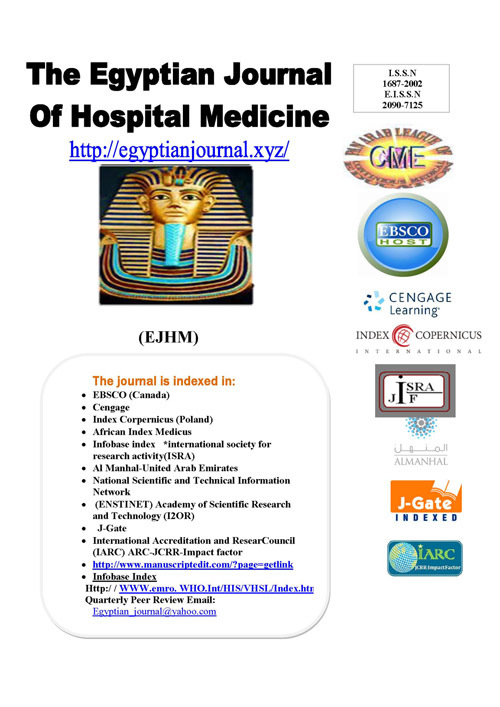 MTHFR gene polymorphisms as risk factors for colorectal cancer among Egyptian patients. MULTI-BIOMARKER RESPONSES TO BIOACCUMULATION of DICLOFOP-METHYL in FRESHWATER FISH (Oreochromis niloticus).